Alice R. Bauer, 93, Marshfield, passed away peacefully with family at her side on Saturday, December 22, 2018 at Marshfield Medical Center. A Mass of Christian Burial will be held at 10:30 am on Wednesday, January 2, 2019 at Sacred Heart Catholic Church, where the visitation will be from 9:00 am on Wednesday until service time. Rev. Keith Kitzhaber and Deacon Ray Draeger will officiate. Burial will take place in Gate of Heaven Cemetery. Rembs Funeral Home is assisting the family. Alice was born on April 3, 1925 in Marshfield, to Peter and Mary (Benderling) Rottscheit and was a 1943 graduate of Marshfield Senior High School. After her education she was employed at Roddis Plywood Corporation in Marshfield and then worked as a waitress. She was united in marriage to Albert P. Bauer on May 9, 1945 at St. John’s Catholic Church, Marshfield. He died on February 2, 2016. After their marriage, the Bauer’s farmed in Marshfield and Nasonville until April 1955 when they purchased an A & W Drive-In, in Jefferson, Iowa until 1965 when they owned and operated A & W in Marshfield until 1973. 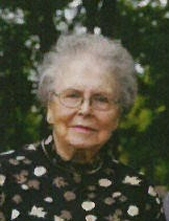 Alice assisted her husband after he became manager of the Knights of Columbus Hall in 1984 until 2000. Alice enjoyed shopping and playing cards with family and friends. She is survived by her children, Arnold (Sandy) Bauer of Spencer, Barbara (Glen) Sternweis of Marshfield, Sheila Schmidt of Spencer, Keith (Marcy) Bauer of Marshfield and Holly (Gary) Zopfi of Marshfield. She is also survived by 19 grandchildren, 35 great grandchildren and 3 great great grandchildren. She is further survived by sisters-in-law, Nancy Bauer, Joyce Bauer and Eilene Weber, all of Marshfield. She was preceded in death by her parents, her husband, Al, a daughter, Denise Pichler, a son-in-law, Eugene Schmidt, a great grandson, Chad Vollmer, a brother in infancy, brothers and sisters, Ann Boswell, Marcella (Vincent) Carey, Arnold Rottscheit, Sylvia Perlock, Edward Rottscheit, Lorraine (Leonard) Elmer and Jean (Gary) Ehlert, brothers-in-law, Gerald Bauer, Peter Weber and Don Bauer and a sister-in-law, Val (Don) Hanson. Memorials may be given to Sacred Heart Building Fund. "Email Address" would like to share the life celebration of Alice R. Bauer. Click on the "link" to go to share a favorite memory or leave a condolence message for the family.